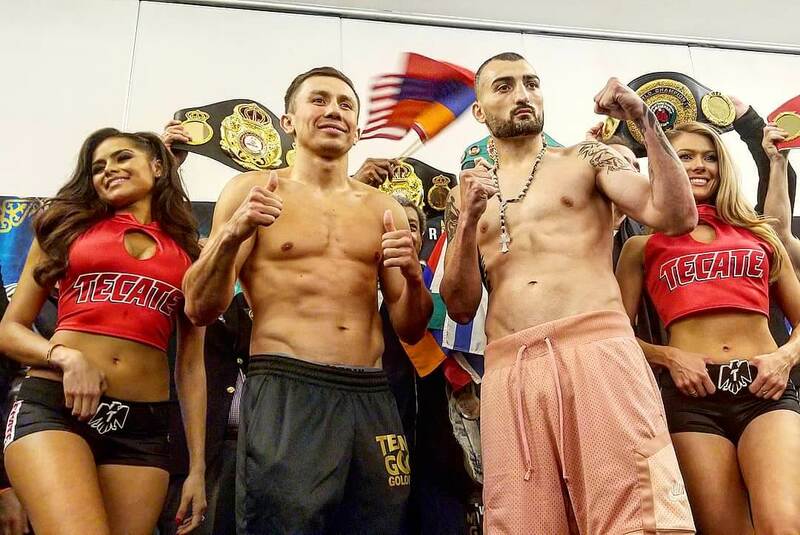 Gennady Golovkin stopped junior middleweight Vanes Martirosyan for his twentieth defense of the middleweight title. Golovkin’s era in boxing has been weird, to say the least. Golovkin as a fighter and a competitor is a class act and his precision with shots as well as trickery to offset his slow hand speed is fantastic. That being said, it is a little rough being live at a Golovkin event since it feels like the Romans feeding the Christians to the lions. I got the sense for a core group of Golovkin fans that it didn’t matter the opposition they just wanted to see Golovkin hurt someone and well that isn’t really what I got into this sport for. I got into for the nerd aspects, angles, hit and don’t get hit. The bout was as most expected a brutal KO for Gennady Golovkin who continues his run in boxing as a middleweight champion fighting people. WBO, WBC, WBA, IBF and IBO women’s Welterweight champion Cecilia Braekhus picked up a hard-fought and a somewhat controversial decision over Kali Reis in the most exciting bout from the StubHub Center. The machismo from some bloodthirsty fans hoping Golovkin hurt someone badly in the main event set an awkward atmosphere for a terrific chess match. 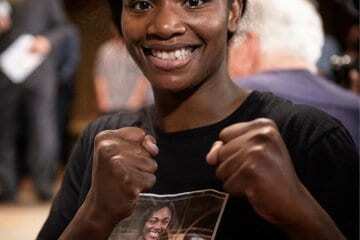 Braekhus used a jab early and often to set the table in the bout, but got caught going in one direction as Reis began to time her with her right hand. This resulted in Braekhus hitting the deck in the seventh round. The unpleasant truth is despite this being a very competitive and interesting fight, a majority of fans booed or didn’t even watch the bout, which was disheartening. GIVEAWAY!!! What's your prediction for tonight's fight? ⬇️⬇️⬇️ Closest one to guess will get the custom shoes I'm fighting in tonight shipped to them signed by me ??? ?⬇️⬇️ Ex. 1st round – :08 secs KO ? Super lightweight Ryan Martin picked up a hard fought victory over Breidis Prescott in which Martin was deducted a point for low blows. The bout was competitive, but nothing stood out. It was a good developmental fight for the Martin, who had to go rounds with a rugged veteran. Super lightweight Ruslan Madiev defeated Jesus Perez in a bout that saw no defensive skills on displays as both stood in front of each other and punched. Madiev had a bit more, so he edged the fight. Welterweight Brian Ceballo impressed for a young fighter fighting an extremely experienced Nam Pham as he used his jab and distance to outpoint a tough former UFC contender. Light flyweight Jesse “Bam” Rodriguez picked up a third-round KO over Armando Vazquez, a fighter with over ten times the experience of Rodriguez. Rodriguez started slow throwing wide shots, but once he was warmed up and got his timing quickly got his opponent out of there. Super featherweight Ryan Garcia now holds two belts the NABF and NABO super featherweight as he was pushed to the limit against Jayson Velez in a bout must pundits unfairly viewed as a squash match. Garcia, who shows the signs of being a star, also shows the signs of being a young adult as only 19-years-old, the young fighter has created massive separation against the opposition he was put in with, but that being said he had yet to face the next level of competition with Velez being the first of that kind. Garcia looked fine and had to gut out a victory showing resolve as well an ability to fight through adversity as Velez made the fight tough in close quarters and despite wide scorecards that didn’t seem to reflect the fight, 99-91 on all three judges cards, the bout was a learning experience. My major takeaway from Ryan Garcia was the fact that Golden Boy needs to slow down on stepping Garcia up and allow him to get to the 21-years-old fighting limited opposition that helps him work on his flaws. My 30th pro fight and 20th KO victory, is in the books. Thanks for all the kind messages. Home soon! 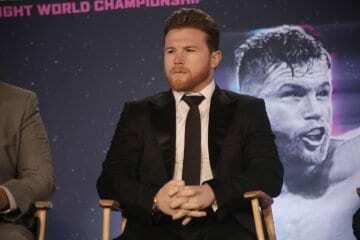 Middleweight Gary “Spike” O’Sullivan might be the luckiest man in the world was rumors are circulating that Canelo Alvarez might fight him instead of Gennady Golovkin in the fall. O’Sullivan, who got a third-round TKO after his foe Berlin Abreu refused to answer the bell. O’Sullivan is a colorful personality, who fight week adorn a suit that looked as though it was out of Sherlock Holmes’ closet. Women’s flyweight Seniesa Estrada got a third-round TKO after the ringside doctor waived the bout off as her opponent took too much damage. 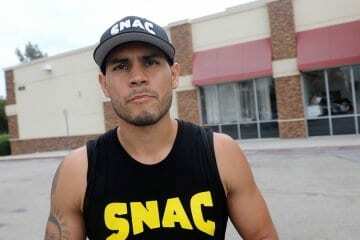 Middleweight Marvin Cabrera, who is trained by Daniel Ponce De Leon, picked up a third round KO, as well as super welterweight Richard Acevedo, showed major separation from his competition in his second bout getting a first-round KO. De’von Abraham of Oakland, CA was supposed to fight, but his opponent left the building after reporting. Flyweight Ricardo Sandoval (13-1 8KOs) upset hometown hero and WBO #14 ranked Oscar Vasquez (15-2 3KOs) by way of a dominating eight-round decision in which he won every round on all three of the scorecards. Sandoval is becoming a force to be reckoned with and will more than likely get signed or continue his path to some sort of title in the near future. Sacramento, CA cruiserweight Blake “The Beast” McKernan won the WBU cruiserweight title picked up a third-round knockout over Daniel Arambula. Light flyweight Santos Vasquez (5-2-2 3KOs) and Bryan Aquino (11-2-1 5KOs) fought to a majority draw as did lightweight Diego Elizondo (2-0-1) and Canton Miller (3-1-1 1KO). Heavyweight Tony Bellew, who is really a light heavyweight fighting above his weight shocked the world once again by stopping David Haye. Unlike the first fight that saw an injury add fuel to a prolonged beating before Bellew stopped Haye, this was quicker and even more dominant. Bellew- sent Haye to the canvas twice the third round and then another in the fifth before the referee waved the bout off after a flurry of punches. After the bout, Bellew called out retired light heavyweight Andre Ward, who is highly unlikely to return as his trainer and very close friend Virgil Hunter is currently in the hospital battling an undisclosed illness. The IBF bantamweight title now has a new home as Emmanuel Rodriguez widely outpointed Paul Butler en route to a 12-round unanimous decision. Rodriguez dropped Butler twice in the first round and outboxed Butler, who had no answers for anything Rodriguez presented. It is of note that Butler missed weight the day prior. Super middleweight John Ryder KOed Jamie Cox in the second round via a right hand that relieved Cox from senses. 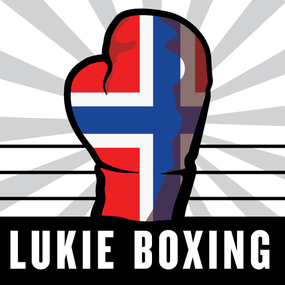 Lightweight Luke Campbell bounced back from his WBC lightweight title loss to Jorge Linares by picking up a fifth-round TKO over Troy James. Australian George Kambosos Jr made his U.S. debut by picking up a first-round TKO of Jose Forero in a little under two minutes. Women’s featherweight Shelly Vincent picked up a ten-round majority decision over Edina Kiss. In shocking news that I didn’t see coming former middleweight contender, Tommy Langford lost a split decision to Jason Wellborn. Langford was given a standing eight count in the 2nd round and cut in the third.